The Star Elders are saying that by mid-year (JUNE) we will start to see the light at the end of the tunnel; thus beginning a shift to the stalled / disconnected energy that we have been feeling. We will feel a slight glimmer of a break through on the new moon in April. I have to say that it cannot come soon enough for me. It has been a confusing and lack luster first few months in a new cycle that is packed full of divine potential (really it is! ), even though it feels flat as a pancake right now. Our truth and reality is clouded and blurred, and our passion appears dead and buried. We are having to make life choices and decisions, to move forward in our life, without our usual trusty inner compass. In the past, most of us have made our choices based on gut feelings, intuition and passion or desires. These choices have come from comparisons between options. Any comparisons or judgments are a form of duality (Remember that we did ask for the end of duality). 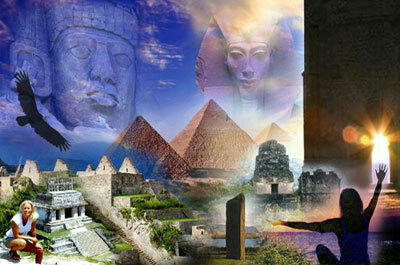 Duality on a grander scale has caused wars and other atrocities throughout history . . . but on a day by day basis, in our personal life, duality has given us comparisons and the opportunity to make choices, and this has made us feel alive. Now we are faced with learning to feel alive in a new way without duality. Now that we are in the present NOW and moving out of duality consciousness, making choices based on desire and comparisons will not work anymore. The Star Elders say that we must keep moving. It does not matter what we choose, but that we do something. Keep moving and keep choosing. Movement will start to align us into the new energy. We are in the process of rediscovering ourselves all over again. We need to keep our eyes and hearts open. It is a whole new ball game and the guidebook is written in a different language. Example . . . I need a new dress for a wedding. I found several choices and put them in my shopping cart. For weeks now, I keep going back to the website, not being able to push the "check out" button; nor can I make myself delete the items either. I am waiting for it to feel right. The fact is that I cannot tell what I want, because I cannot feel the intuitive hit I am used to. There have been many symptoms that are accompanying this current transformation. Many sensitives have been feeling nausea, insomnia, having bad dreams, feeling hot and cold, deeply passionless and depressed and feeling unhinged from the 3D world in general. I feel like I am standing on a huge fault line that is about to unleash a 9 point earthquake; but I know this is NOT what it is. This is something our bodies are adjusting to. We are trying to compare this new energy to something it knew from the past and our history. This is the new and un-experienced, un-known energy that our body does not understand. By mid-year we will begin to understand what this means to us. You are doing OK even if you feel you are or not. There is much unseen help watching over us. Thanks to all our guardian angels. Some help here . . . Ginger helps a bit with the nausea as well as breathing peppermint oil. Getting out in nature will help balance us as well. Sunshine will help with depression. Get your feet on the ground! Just BREATHE and GROUND, and BE with this new energy step by step. Be comfortable with the uncomfortable. Be careful with electronics, computers and even light bulbs. We are running so much energy through our bodies right now that it can be hazardous to sensitive equipment. 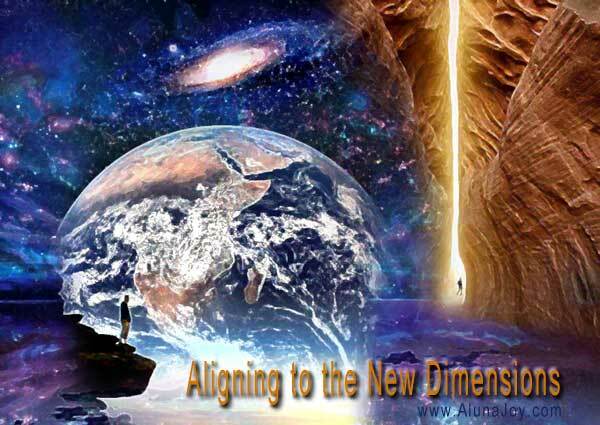 Our entire realty is being activated with the energy of newly created dimensions, and this is making some beings react from old realm ego instead of reacting from the new ascended dimensions. It is triggering a quite a bit of global fear and anger in our collective consciousness. There is a lot going on out there, and the loonies are coming out in mass, because they can't handle the new energy pulses. God bless them as they are feeling the struggle as most of us are. This is an adjustment period for us all, and it will take some time to balance things out. The odd thing is that none of this wonky energy that we are feeling is US anyway. There is no history in the energy that we are feeling now. We have cleared out history a long way back. God Bless ALL of YOU who have learned to be self responsible and not process this dodgy energy through your old ego patterns, and aim it towards others! This takes great courage and self-resolve. It is our job to maintain the peace and harmony the best that we can while feeling the unstable, collective consciousness that is vacillating between duality and oneness. There is no escape from this time, so don't waste your time trying. Any effort you make to avoid the instability will only place you in another situation that will be just as unfulfilling and confusing. The only way out is through. So, even this may sound contradictory . . . keep moving and keep making choices the best that you can for now. Remember movement will align us into the new energy. This is a temporary situation, and all these situations and feelings will pass in time. Sometimes it is just about all we can do to take care of ourselves these days. It is an effort to choose to get out of bed in the morning. It is an effort to choose anything at all. During this time we might be feeling like we are letting the ball drop on our destiny and our souls work. Do not worry about this, and do not judge yourself. It is OK. You cannot regress on your spiritual path at this point, no matter what you do now. A wave has begun cannot be stopped. All we can do now is to let all this discombobulated energy flow through us, and be very patient and neutral … like if we had a choice right now. :) If we let little issues stick to us, we might do things that we will feel bad about later. Let life flow as it will for a while. Example . . . I had a little car accident the other day. Someone backed into me. I just let it flow, and I did not get angry. The fact of the matter is that I didn't care one way or the other. I was completely detached / neutral to what just happened. The guy who hit me, his heart was opened, because I didn't react negatively to his mistake. After all it was just a dent. He hugged me! In the grand scheme of things, dents are regular events in our physical and emotional lives. You know the saying . . . don't sweat the small stuff . . . and it is ALL small stuff. So don't let the dents get to you. It does not matter one way or another. We are arriving at the planned destination even though we may not feel it is going too well today. Please hang on, keep on, and keep CALM. And remember to ask and receive support from soul family.